(b. Buenos Aires, Argentina, 1949). Lopez Armentia works both as a sculpture and painter. His interest in the fleeting and permanent are anchored in the episodes and things of the everyday, almost always in the "space and time of the city," and relates to a relief of the mundane, introducing dreams and desires into the fold. His work has been exhibited individually in the Reece Gallery, New York (1999) and Galerí­a Altera, Buenos Aires (2000). His group exhibitions include the Venice Biennial (1997) and the II Biennial Mercosur, Porto Alegre, Brazil. 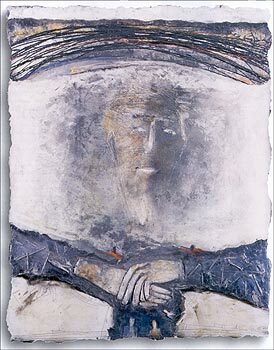 His work is in the collection of the following institutions: Museo Nacional de Bellas Artes, Buenos Aires, Argentina; Museo de Arte Moderno, Sao Paulo, Brazil; Casa de las Americas, Havana, Cuba; and the Instituto Andino de Artes Populares, Quito, Ecuador.